Then and now, people send mails through the postal system, in which mails/letters and other tangible objects enclosed in envelopes and small packages are transferred from a certain place to another. In such mode of communication, postage stamps are affixed to the mails, serving as proofs of payment by the senders. 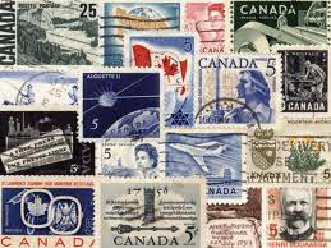 The use of postage stamps has emerged globally and has been effectively used by countries, including Canada, before electronic mails are introduced. Canadian stamps per se are actually rich in terms of the development of postal history. Throughout time, various styles of post stamps have been released in the country, and are considerably one of the finest among others; some of these have essentially been classified as vintage Canadian stamps. Designs of stamps vary from notable rulers, leaders, and other competent people (e.g. scientists, artists, and philatelists), historical places and landmarks, celebrations, among others. The first issued Canada postage stamp was the Three-Penny Beaver designed by Sir Sandford Fleming, who, instead of choosing a traditional portrait of Queen Victoria, opted to choose the beaver that eventually made way for the animal to be the symbol of Canada. Later on, the era of Dominion of Canada followed and the government issued new series of stamps featuring famous personalities, such as Queen Victoria, Kings George V andVI, and Queen Elizabeth. Meanwhile, prices of postage stamps vary depending on the class, size, weight, and also the destination where your mail is to be sent (applicable for mailing purposes). For collectors, stamps that are considered rare and antique will probably be more expensive than the new ones. You may check our site—the Treasure Coast Stamps—where you can see the freshest and finest collections of classic Canadian post stamps and the opportunity to buy them at affordable price. Generally, stamps are used in mails to serve as an evidence of payment. But looking on the other side of it, we can say that it has opened new opportunities not only for collectors, or for the field of communication, but also it paved way for knowing the history in a different way as these Canadian stamps give prominence on its prints’ distinct figures and known people which may serve as historical reference for all.Since the industry of Canadian stamps has been active globally, stamp collectors, as well as the general public, have established an admirable interest in collecting stamps from the country itself. Canadian stamp dealers, for this reason, have been involved significantly in trading, buying, and selling of available stamps which then provides a better source of revenue for some individuals who are completely au fait with such transactions. While some are engaged in the trading industry, some still opt to make stamps collection a hobby; and still some resort to the option of studying these stamps and its uses. Interested in either of the options? Our site is here to offer you a worthwhile service, whether you want to buy or to sell stamps. Our experiences, expertise, and knowledge on stamps and its related field have helped us build a reputable name over the years. Now, make way to know more about Canada’s culture through its stamp and engage yourself in the industry of post stamps through checking the sections of our site.